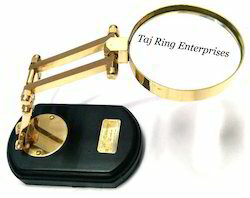 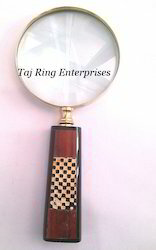 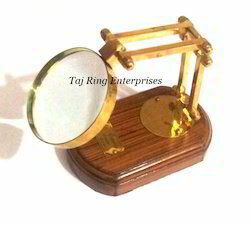 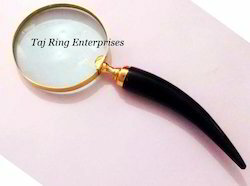 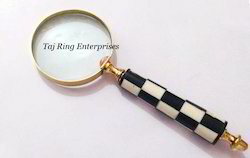 We are one of the leading Manufacturer & Exporter of Magnifying Glass. 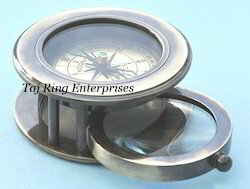 Manufactured using superior quality raw material, these instruments have earned the praises of our clients for their optimum performance and ease of operation. 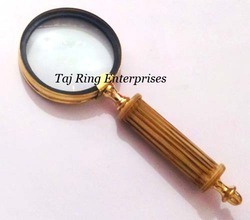 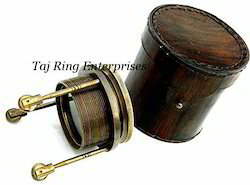 A best gift for collectors.Beautiful Pocket Self- Standing Magnifying With Leather Cover Awesome Style Brass Nautical Magnifying Tripod Nautical Stylish Magnifying wth cover ..
wooden handle is made of pure brass. 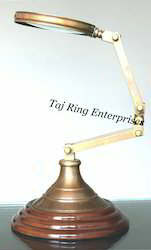 Lance Dia:-3" & Long- 8"
you to enlarge the image of an object. 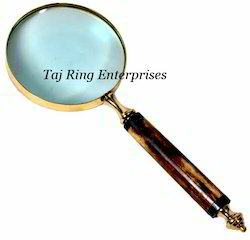 Lance Dia:-3" & Long- 7.5"
Lance Dia:-3" & Long- 7"
Size:-Lance Dia:-3" & Long- 8"
This handcrafted antique Magnifying glass with wooden handle is made of pure brass. 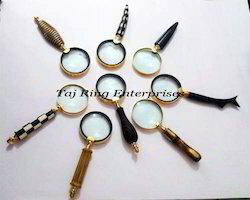 These magnifying glasses are widely available in various designer patterns and are available at market leading prices..
ht:-9", dia: 4", base :- 3"
Total Ht:-28cm. 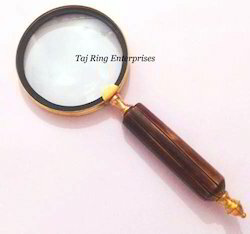 , Magnifying Dia:-8cm. 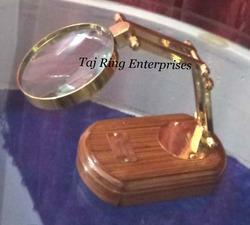 & Base 12cm.